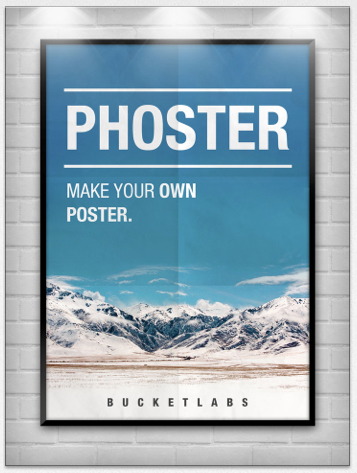 Selected by Apple has Free App of the Week, Phoster for iOS provides a simple interface for a user to create stylish posters and invites with minimal effort. 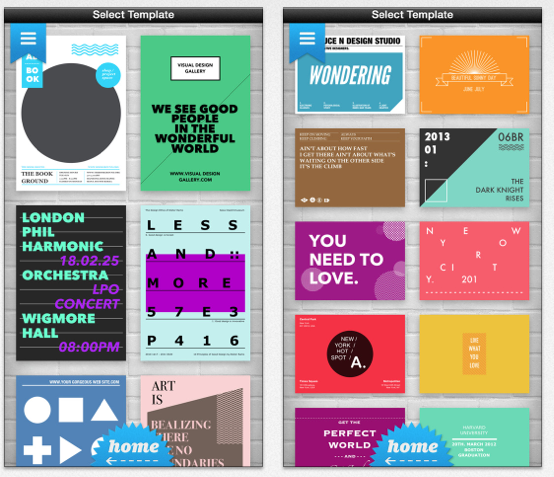 Supporting optimisation for both iPhone and iPad, Phoster for iOS comes with a set of predefined templates and a set of editing tools and effects to allow a user to create posters or invitations with very little effort. You start by simply selecting a stylish template from the list of prebuilt designs. You are then taken to an editing screen where you can easily add various effects and edit the text to customise it to your needs. – Total 197 free templates with various designs are available. – Take new photos with your iPhone camera or select one from your photo library in your devices. – Brightness, contrast and saturation adjustment for each photo can be available. – Resize, Free position and rotation of photos are available. – You can write anything upon your posters in the Text Box. – Color of Text is changeable. – Size of Text is changeable. – Special filtering effects and various decorates are available. – Share your posters via facebook, flickr, twitter, tumblr, instagram and email. – Save your posters in your gallery. – Applicable to iPhone, iPad, iPod touch. – Phoster app for iPhone is also available for retina display on iPhone 4. The best feature about Phoster for iOS is that you can create some stunning posters or invites without any prior design experience, and without a great deal of effort – perfect for a quick spur of the moment party invite to publish to Facebook. The fact that the editing is so simple is both where Phoster for iOS excels and lacks; being so simple means that the customisation is very limited. The App could be improved greatly by allowing some objects on the various templates to be repositioned for greater usability. However, a very small gripe for a very good free App. Phoster for iOS is also optimised for the iPhone 5. You can grab Phoster for iOS for free by hitting the download link here.